Does your dog need additional supervised playtime, socialization, entertainment, exercise or get into mischief while you are away from home? Perhaps you work long hours, are having company over or work done to your house? Morris Animal Inn in Morristown, New Jersey, offers a solution – Dog Daycare! Please call (973) 539-0377 for more information regarding our Dog Daycare. 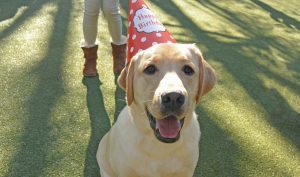 We are ready to celebrate YOUR pet’s birthday in a group or private party when added to any service. Give us a call for more details. 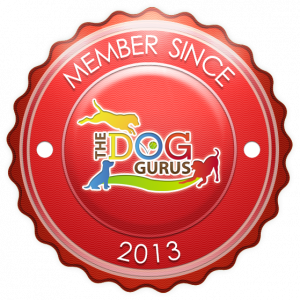 Your dog can really benefit from attending dog daycare! All daycare guests receive premium care, professionally supervised activities, a wholesome snack and relaxation in our luxury accommodations. We celebrate your dog’s birthday too! 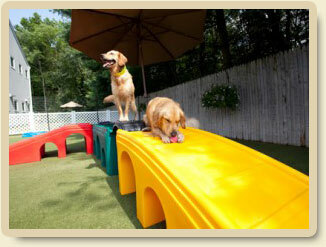 Most dog daycare play times take place outdoors, however, we have spacious, clean, indoor play areas as well.